Track: Hunt 4 U ft. Pleasure P.
In 2005, Teairra Mari released her self-titled debut album with Roc-A-Fella Records. Though hailed as "Princess of the Roc," her reign would not last long; she was dropped by that label the following year. Three years later, the Detroit native would re-emerge signed to Interscope with buzz single No No No; while that received moderate praise (and served as DJBooth&apos;s introduction to Charles Hamilton), it was soon cancelled and the record was given to girl group Dear Jayne. Not the type to play the damsel in distress, Teairra has hit the ground running with the official first single from her sophomore album, At That Point; on Hunt 4 U, she&apos;s at the spot looking for Mr. Right, and refuses to leave the place until she finds him – fortunately for Teairra, Pleasure P is also looking and will stop at nothing to find the right woman for him. 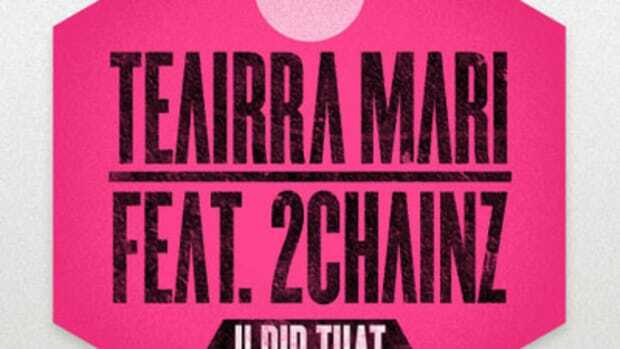 Written by Rico Love and produced by in-house beatsmith EHood (for his own E2 Productions and Rico&apos;s Division 1), Hunt 4 U should bring Teairra the other thing she&apos;s searching for: Billboard success.